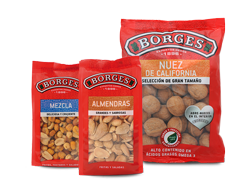 WORLD NUT COCKTAILS IS THE FRUIT OF COMBINING THE EXPERIENCE OF BORGES WITH AN EXOTIC TOUCH FROM DIFFERENT CONTINENTS. 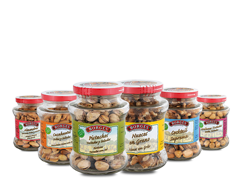 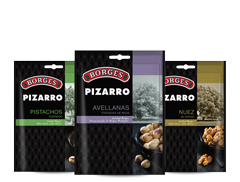 IT IS A SPICY RANGE OF NUTS WITH DELICIOUS AROMAS FOR THOSE WHO WANT TO DISCOVER A DIFFERENT AND SURPRISING EXPERIENCE. 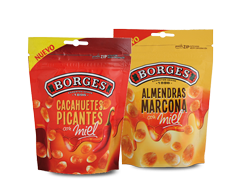 THEY ARE THE PERFECT CONTRAST BETWEEN SALTY NUTS AND SWEET HONEY THAT ONLY AN EXPERT LIKE BORGES CAN ACHIEVE. 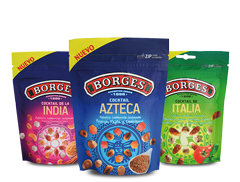 GET READY TO BE SURPRISED! 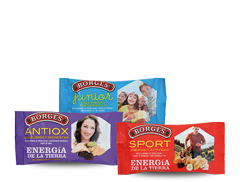 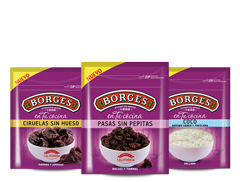 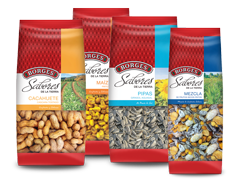 BORGES OFFERS YOU A RANGE OF SNACKS TAILORED TO DIFFERENT NEEDS, TO ENJOY TAKING CARE!